Our artists go beyond the performance and offer a wide range of services to create a unique Education and Outreach program in each city they visit. These programs successfully cultivate creative thinking that intrigues and inspires the imaginations of all ages, demographics, abilities and populations. We will be happy to design a specific outreach program to tailor fit the needs of your community. The duration and content of each outreach experience can be customized with the options listed below. 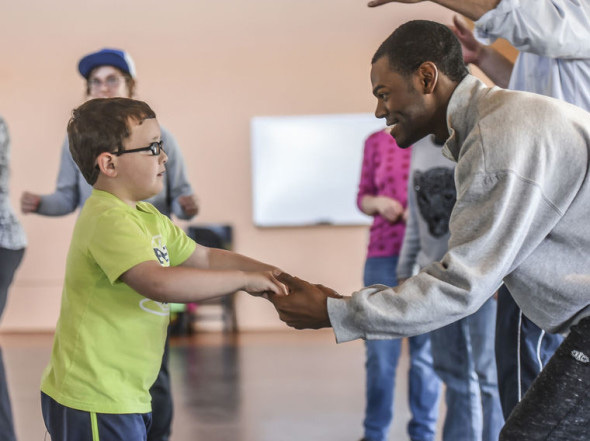 Options include Master classes, Workshops, Lecture Demonstrations, Senior Citizen Activities, Participation Workshops with Veterans, Question & Answer Sessions, Talk Backs, Student Matinee Performances, Programs for Individuals with Special Needs (including at risk youth and persons with disabilities), Creative workshops for non-dancers, Summer Programs, Short or Long Term Residencies, and Licensing of Repertory.